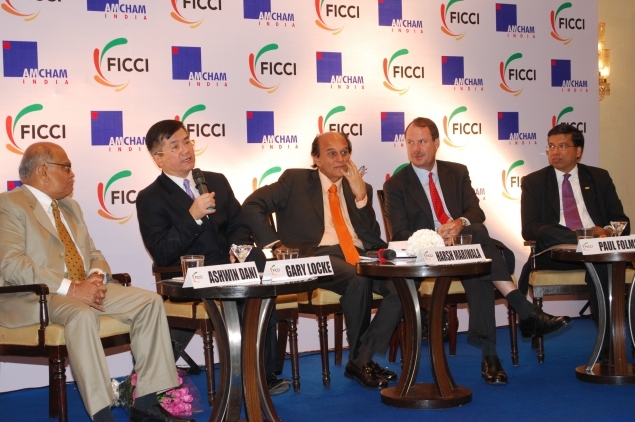 Later in the afternoon, Locke delivered the keynote address at the National Association of Software and Service Companies’ (NASSCOM) India Leadership Forum. The NASSCOM forum is one of the flagship events for the tech industry in India where business leaders from more than 20 countries participate to share their views and strategies, and discuss the opportunities and challenges that lay ahead in the tech sector. The mission is the first Secretary-led business development mission to India since 1997. It advances President Obama’s National Export Initiative (NEI) which aims to double U.S. exports by 2015 supporting several million U.S. jobs. The pace of trade between the United States and India is accelerating. Between 2002 and 2009, U.S. goods exports to India quadrupled, growing from $4.1 billion to more than $16.4 billion. Through the first eleven months of 2010, U.S. merchandise exports to India totaled $17.6 billion, up 17 percent from the same period in 2009. With economic growth estimates at about 9.7 percent in 2010, India is a key market for achieving the Obama administration’s export goal. Submitted on February 10, 2011 - 12:56pm. Hello Secretary Locke thank you for meeting with us at the NASSCOM conference in Mumbai India. I in particular was proud to see a fellow Asian American representing the US at the largest gathering of Indian IT professionals. 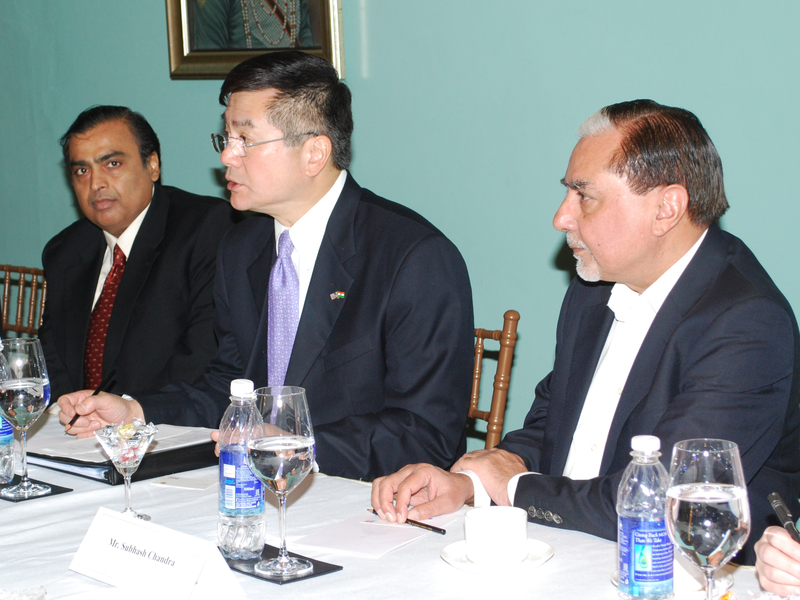 As you are aware, the Indian IT industry has the US as its largest market and also its largest and most important partner. As a CEO of a US IT firm, I was pleased to note that you do not intent to raise barriers to US companies outsourcing to India or elsewhere. My company PortaEnterprise has 1900 employees all based in the US. We resort to outsourcing only for short term projects and not as a means to avoid hiring additional professionals in the US. As a CEO I need to be afforded the luxury to set up shop anywhere in the world, where it makes technical and business sense to do. In the spirit of what the US is all about, the US government out not to restrict the options of a company. As a Democrat I always owned Japanese cars. Just because the were and are good. After all what is a US made car: a GM car assembled in Mexico or a Toyota made in Fremont California ?? 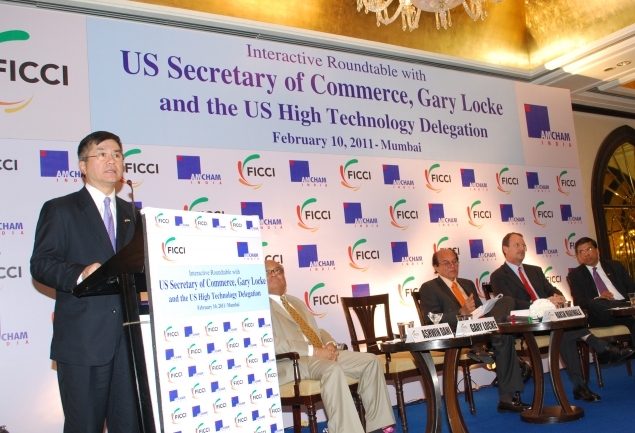 Once again, thank you for coming to NASSCOM and I was proud to meet you Secretary Locke. Submitted on March 1, 2011 - 12:21pm. this is a good way to meet the presidents export goal. we ned to fully fund this to help president obama meet his goal and we help a country that really need the goods that we are exporting them.